Food for Thought! : The surf's up at Gateway !!! The surf's up at Gateway !!! 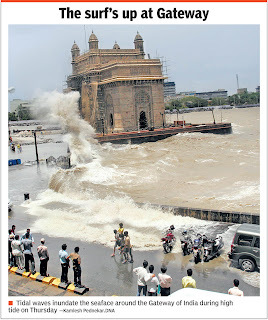 Rain has just hit Mumbai, and here's what it has done to the Gateway of India.